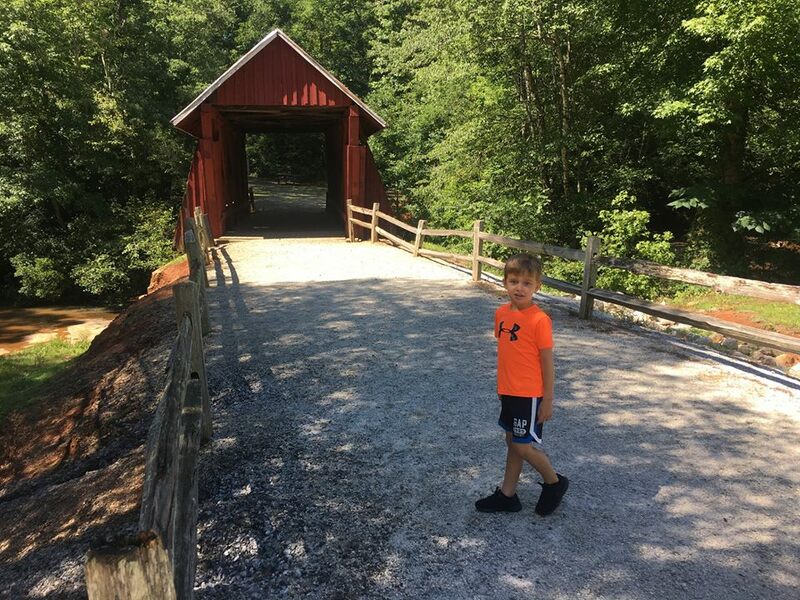 Campbell’s Covered Bridge – super cool but if you are going with kids – make sure you have something else to do after the 5 minutes it takes exploring it. 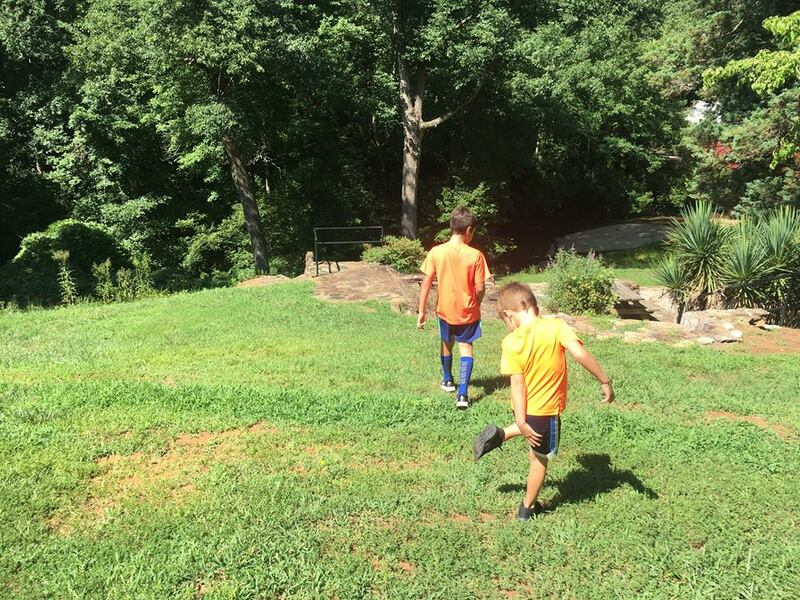 Historic and beautiful setting but after about 5-10 minutes the kids are done and looking for somewhere else to go – so we drove to Downtown Landrum! HELLO! Awesome place especially the Hare and the Hound Pub. 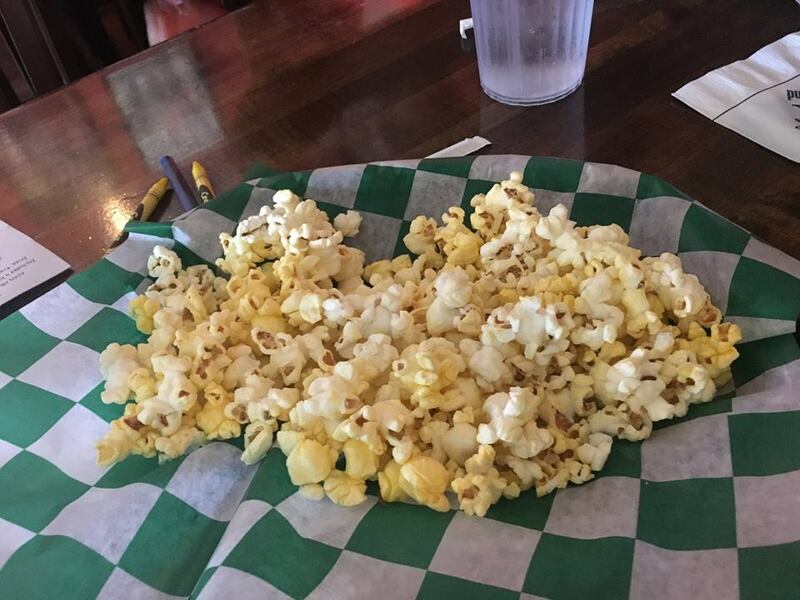 Great food and super friendly and you get to munch on popcorn while they cook your food. 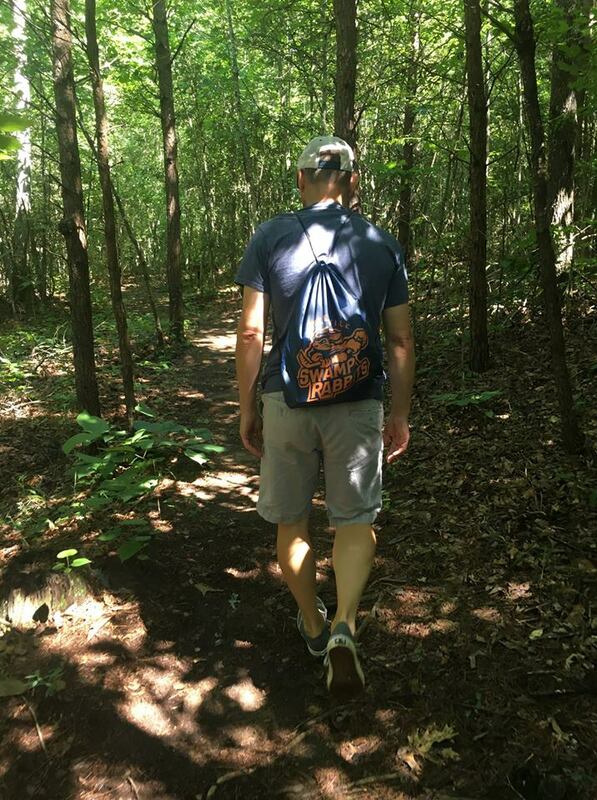 TIP: Most stores are closed on Sunday’s in Downtown Landrum but the Pub is open! Constructed in 1909 Campbell’s Covered Bridge is the only remaining covered bridge in the State of South Carolina. 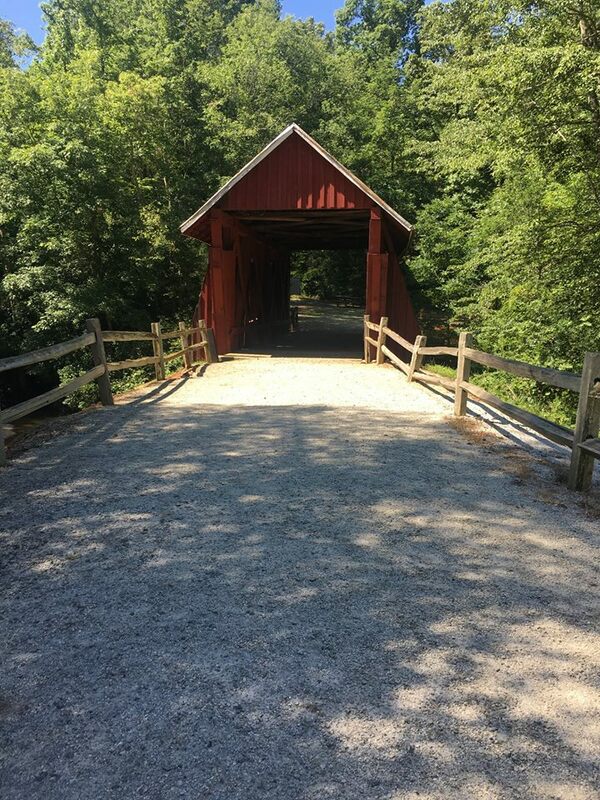 The 38 foot long, 12 foot wide pine structure that spans Beaverdam Creek was built by Charles Irwin Willis. 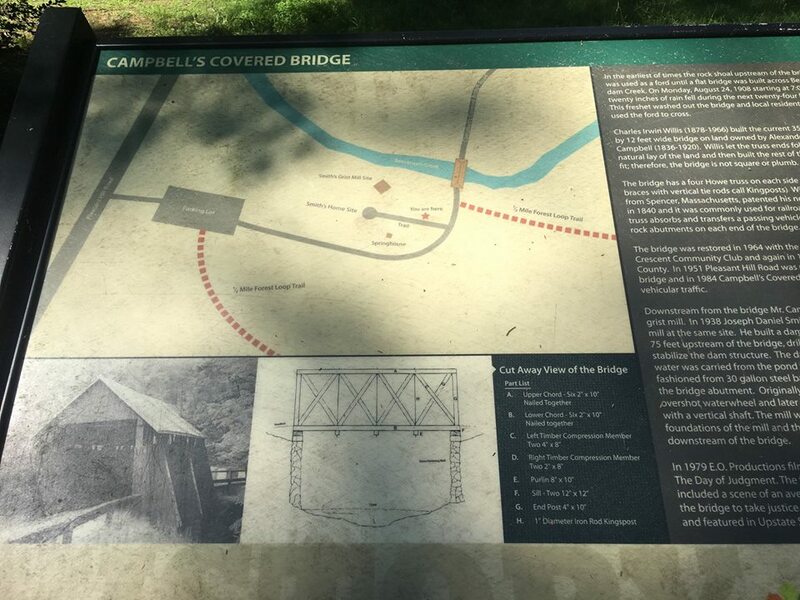 Locals believe that the bridge was named for Lafayette Campbell, who at the time of the bridge’s construction owned 194 acres in the immediate area. 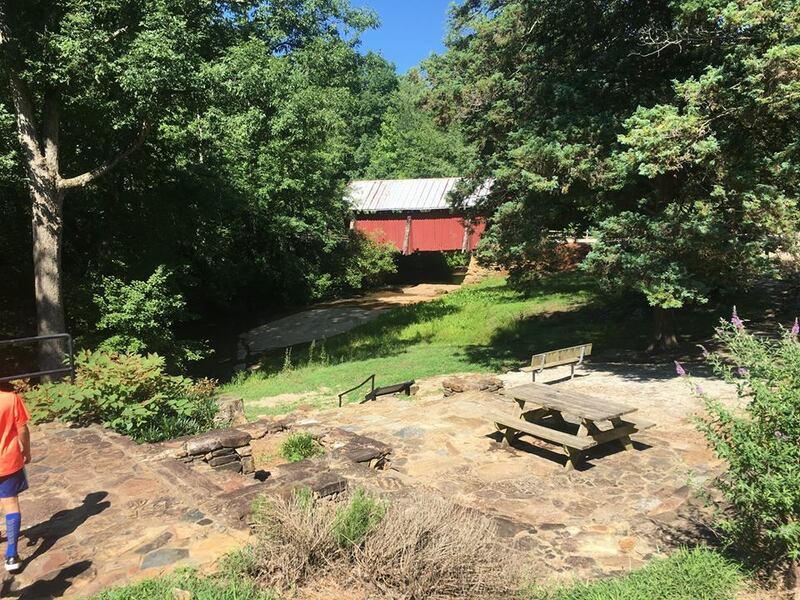 The bridge and surrounding acreage is presently owned by Greenville County and has been transformed into a passive park where visitors can picnic, explore the foundations of the old grist mill and home site, wet their feet on a hot summer day in Beaverdam Creek, and learn about the area through interpretive signage. 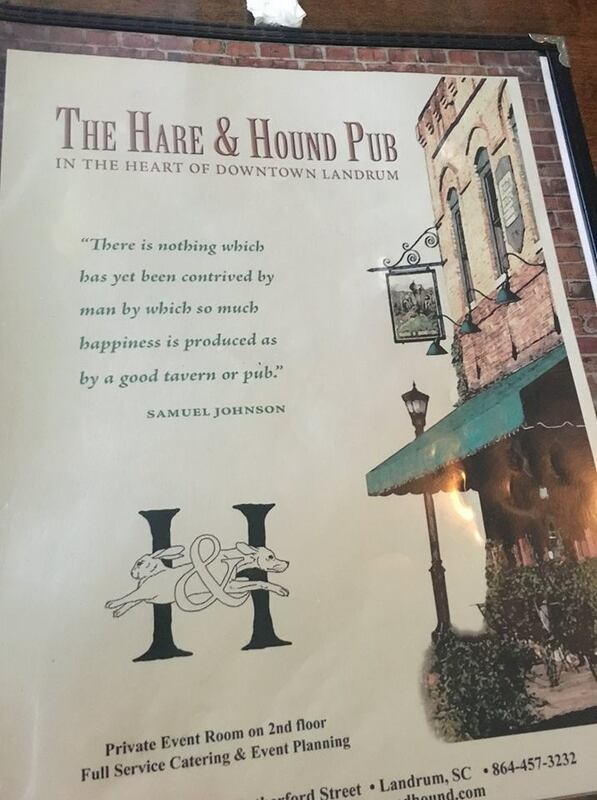 Discover The Hare & Hound Pub in Landrum, South Carolina. 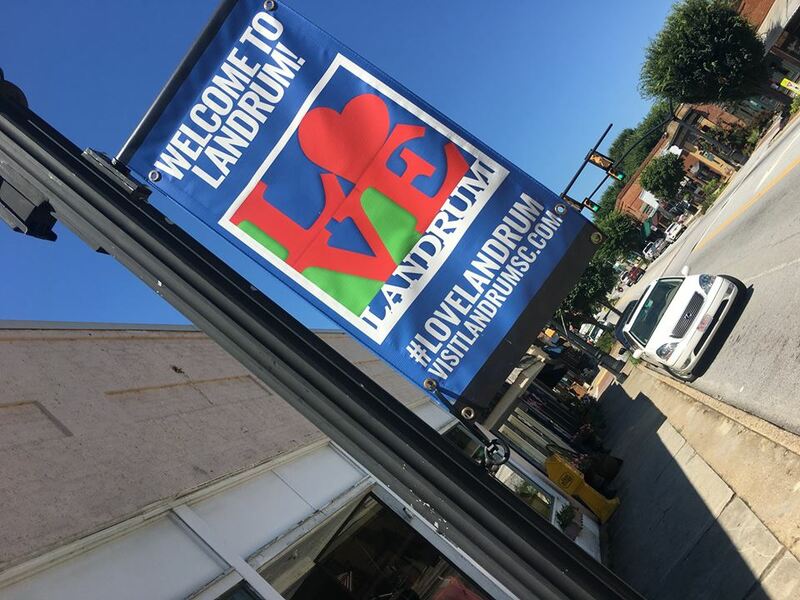 Nestled in the Blue Ridge mountains of upstate South Carolina between Spartanburg & Asheville, you will find vintage brick buildings built in the late 1800’s & early 1900’s that are now home to antique shops, galleries and restaurants. 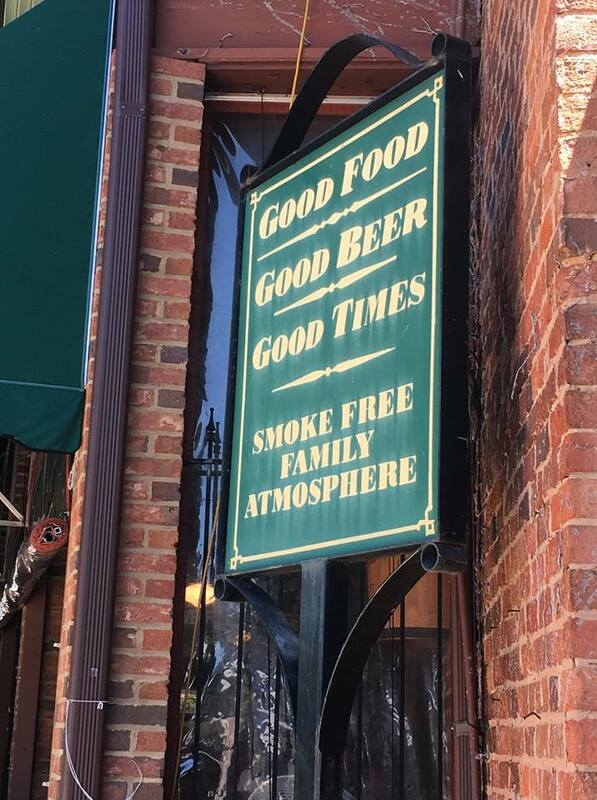 The Hare & Hound Pub was once a mercantile that provided supplies to the thriving textile and agricultural industries.